The HS-2™ has history behind it. The HS™ series were the first humbucking Strat® replacement pickups we made in the early 1980s. Since then, the HS-2™ has become popular for two distinct qualities: in humbucking mode, it’s got a solid, natural sound that’s cleaner and brighter than a conventional humbucker, while single-coil mode creates one of the best vintage tones around. 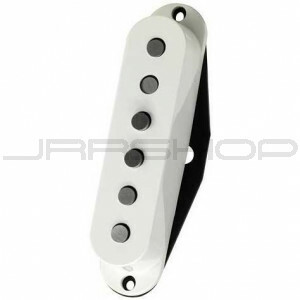 Because of its patented design, single-coil mode is not as noisy as a standard single-coil pickup. Taken together with the dead-quiet humbucking mode, this is an excellent pickup to use with rack systems and high-gain amps.